In areas where KentuckyWired doesn’t run, such as West Louisville, the city will have to pay the entire cost of deployment. As an example of the savings generated by taking advantage of this larger opportunity, the connection to West Louisville is approximately 7 miles and will cost about $2.2 million. In the areas where Louisville is able to “double up” with Macquarie Capital’s crews for the remaining 90 miles, the cost of the project will be approximately $3.2 million. Funding for the project is part of the larger bonding that the Mayor has proposed; the final proposal will be presented to the Metro Council on June 22nd. Saving public funds are a major impetus for the project, but making life in Louisville better is always a goal. The new fiber will allow the city to reduce traffic congestion by connection 130 traffic signs to an ITS, which cuts down on commuter time and improves air quality. City officials also plan to use the network to improve public safety by connecting 18 more cameras. Gigabit connectivity will be available at 31 municipal facilities when the network is up and running, which will significantly increase productivity for city staff. The chance to save public dollars on fiber deployment at this time will be complemented by savings generated moving forward. Leasing lines from incumbent providers adds up; they often raise their rates with little or no notice, making budgeting from year to year very difficult. Louisville will immediately save $78,000 in annual operating expenses and will have the freedom to use its own fiber network as it chooses without the fear of a provider increasing rates. Martin County, Florida, chose to end the uncertainly of rate hikes and take back control of outrageous rate hikes from a national provider. When their franchise agreement with Comcast was about to expire, the company proposed an 800 percent increase in rates that amounted to highway robbery. Martin County officials determined it was more cost effective for government operations, schools, and other institutions on the network to invest in their own infrastructure. Officials in Martin County had opportunities to cut costs similar to Louisville's situation. There were other projects, including an Intelligent Traffic System (ITS) project in process; they reduced costs by sharing conduit space. Working across agency boundaries for a true “carpe diem” is an excellent way to save public dollars and forge relationships that make government more efficient. Based on the provider's proposal, Martin County and its institutions are saving millions each year, they don’t face surprising rate increases, and they have access to better connectivity. Read more about Martin County in our 2012 report, Florida Fiber: Martin County Saves Big with Gigabit Network. Santa Monica, California, created a vision for better connectivity throughout the community in 1998. Their vision started with a Master Plan and an I-Net. Working incrementally, they eliminated leased lines from incumbents, which allowed them to save the capital they needed to invest in their own infrastructure. They now have CityNet, a fast, affordable, reliable network; they’ve saved millions of taxpayer dollars and kept local dollars in the local economy. Santa Monica isn’t sending public funds away to the headquarters of the big telecom corporations so they’re able to use those funds for other purposes. Check out our 2014 case study for the details on how they did it. Louisville leadership knows that now is the time to complete this project at relatively low cost and in a speedy fashion. If they don't seize the day, the project will cost more in dollars and time. The city’s efforts to save significant public dollars are being challenged by a group called, ironically, the Taxpayers Protection Alliance. The group is not from Louisville or Kentucky. We’ve seen this organization pop up whenever national incumbent providers want to sabotage municipal efforts to escape their monopoly. Groups like the (TPA) typically offer slanted, sloppy research packaged to appear professional but their material is riddled with errors. TPA has the distinction of making our page dedicated to misinformation and falsities, the Correcting Community Fiber Fallacies page. To give an example of one recent mistake, they claimed that Rockport, Maine, had spent $2.5 million on a fiber network. The town had actually spent $40,000 and was quite happy with the return on its investment – a partnership with local provider GWI. Broward County, Florida: Saving $780K per year on connectivity, and additional $28K per year on telephones, and their rates are not longer increasing 15 percent annually. Ellensburg, Washington: Saving $10,300 per month. Virginia Beach, Virginia: Estimated savings $500K annually. Davenport, Iowa: Saving $600K annually. Falmouth, Massachusetts: Saving $160K annually. Those of us who follow developments in publicly owned fiber don't always hear which communities have invested in I-Net infrastructure. Often communities take the initiative as a way to get services they can't obtain from incumbent providers, reduce costs, or because they want better control over their telecommunications services. Those efforts typically result in substantial savings and often contribute to economic development, better connectivity in schools and libraries, and lay the ground work for the Internet infrastructure a community needs moving forward. I-Net infrastructure is an investment worth considering. 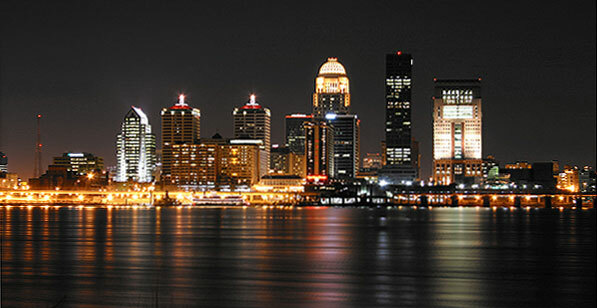 Image of Louisville Night Sky Line by Stevietheman at English Wikipedia [CC BY 2.0], via Wikimedia Commons.